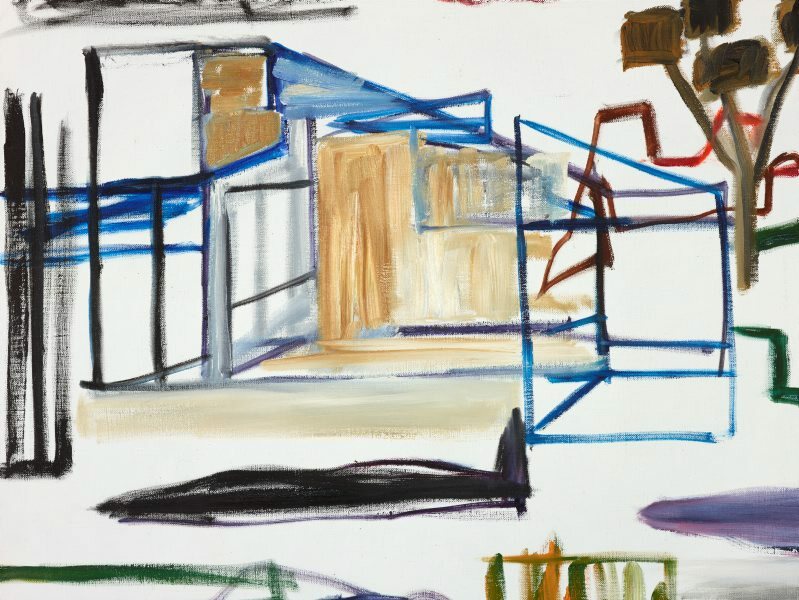 In 1977 Whisson moved to Perugia, Italy but continued to regularly visit and exhibit in Australia, where his work became increasingly recognised for his distinct aesthetic that sits somewhere between abstraction and observed realities and convey physical and internal worlds in states of perpetual motion. 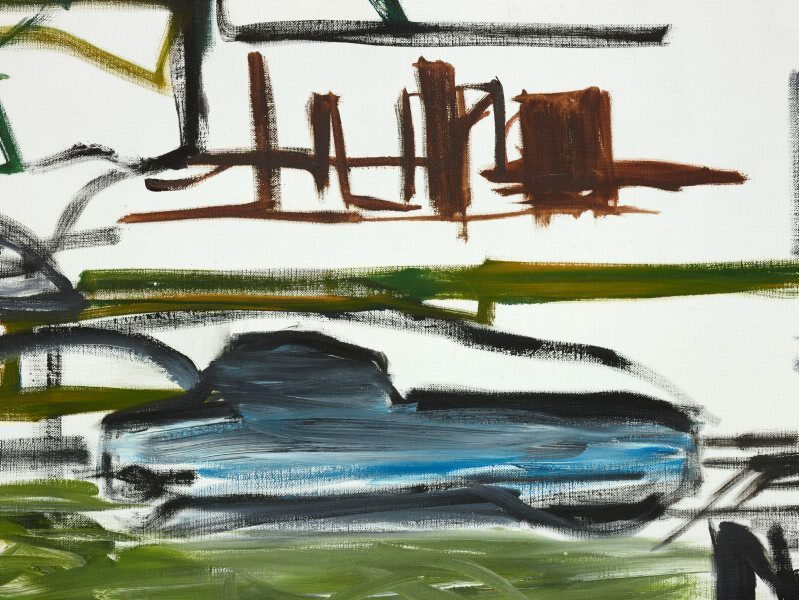 Whisson developed a distinct style of building compositions through sketch-like forms, incorporating blank areas of the canvas, so that space becomes an active, and at times dislocating presence in his work. 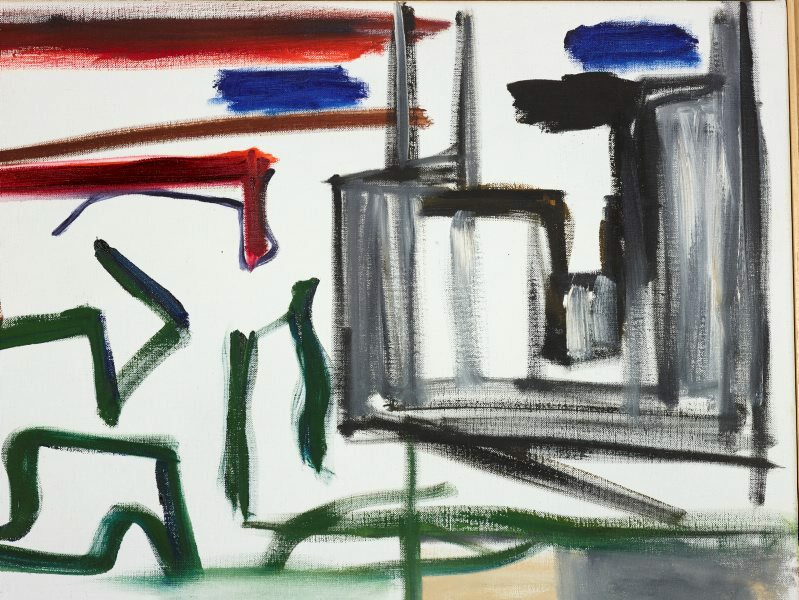 'Landscape elements 1' images the environment through a series of impressions of the modern industrial world; planes and cars feature amongst the skeletons of buildings in a composition that appears unsettled and unfixed. 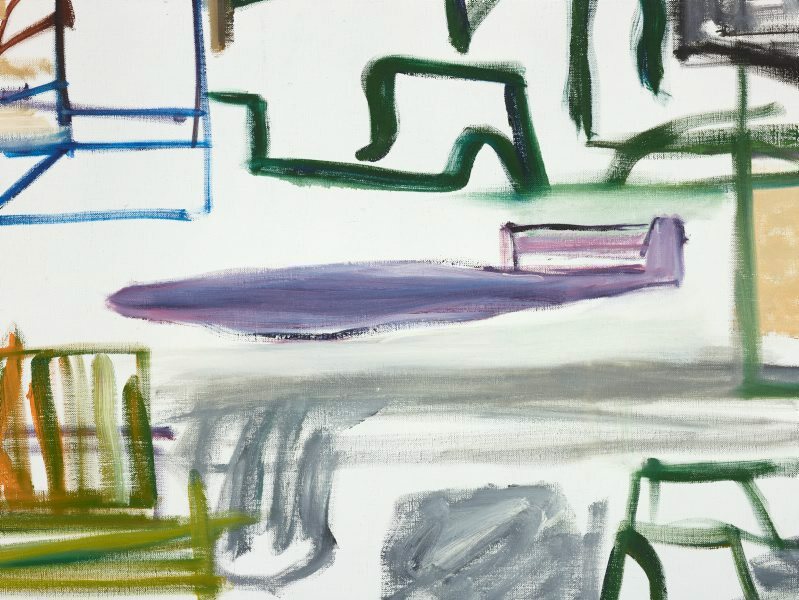 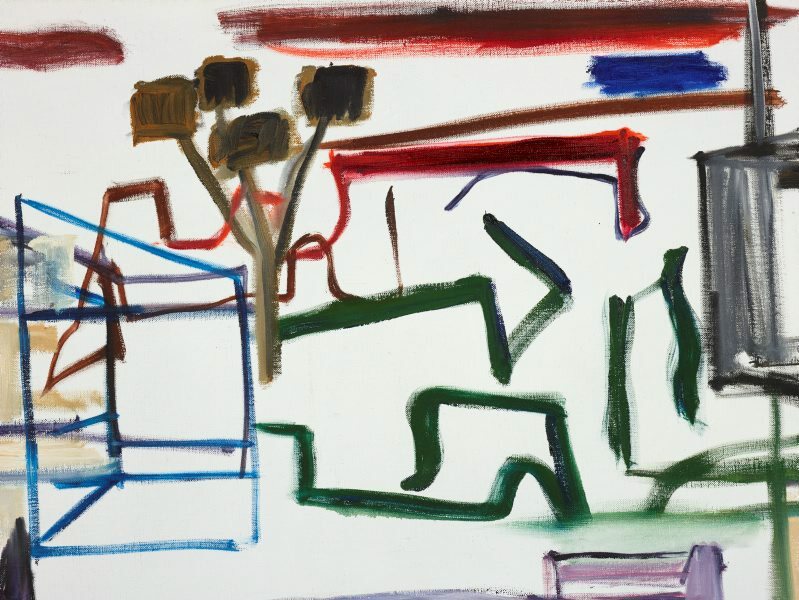 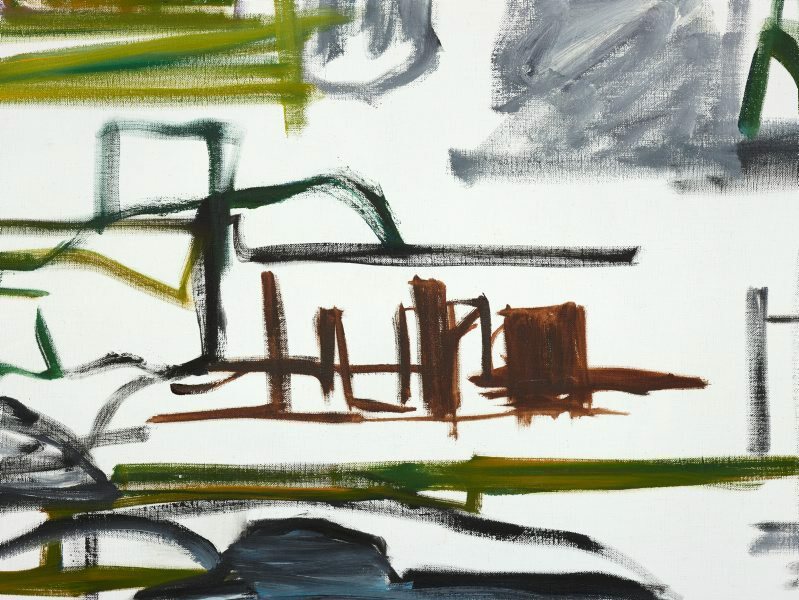 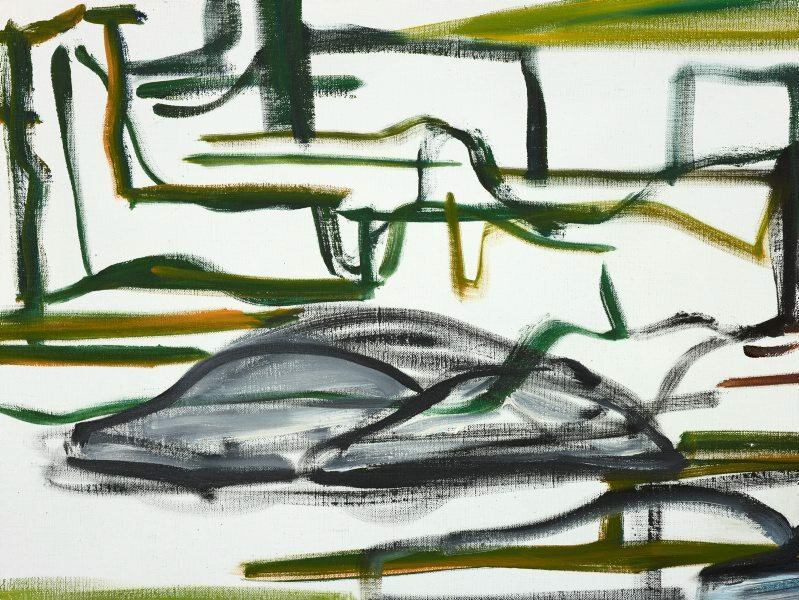 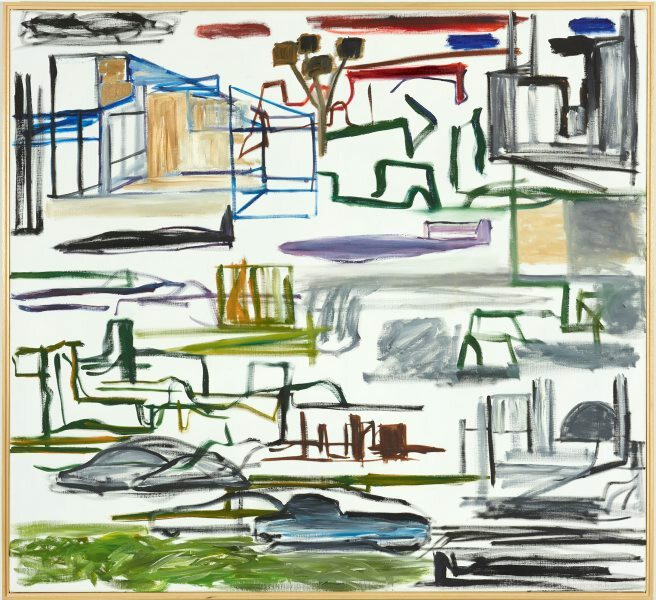 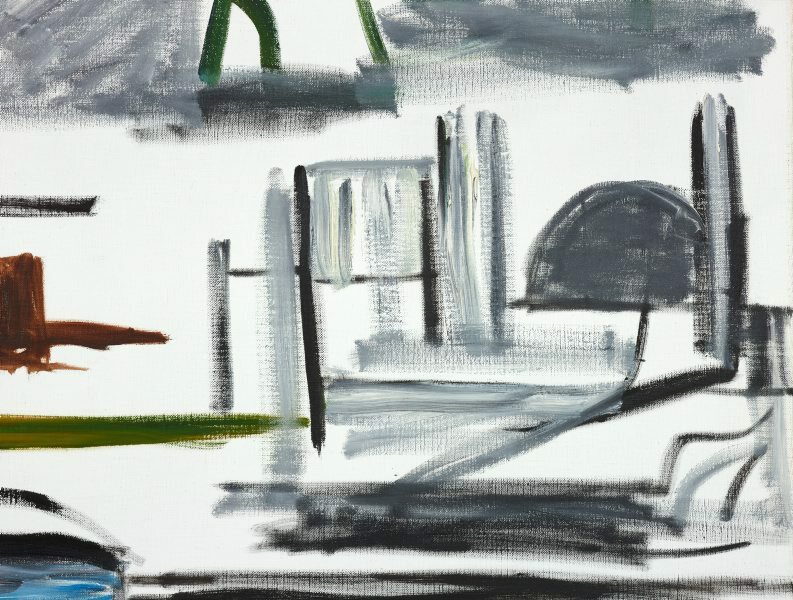 'Landscape elements 1' is indicative of Whisson’s unique artistic interpretation of place, formed, it would seem, from surveying of the world through the filter of the nervous system and creating corresponding impressions of the tense relationship of forms within ungrounded space. 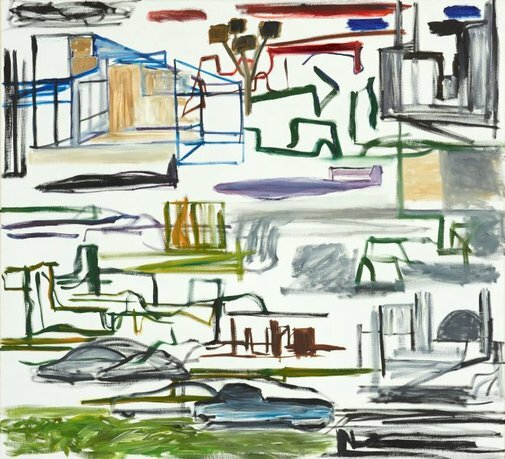 It is a characteristic statement of the flux that exists between people, objects and the experiences of their environment.